Now you can watch and follow your favorite MLB team on your iPad and iPhone optimized for hi-res displays, with the free MLB At Bat app for mobile. 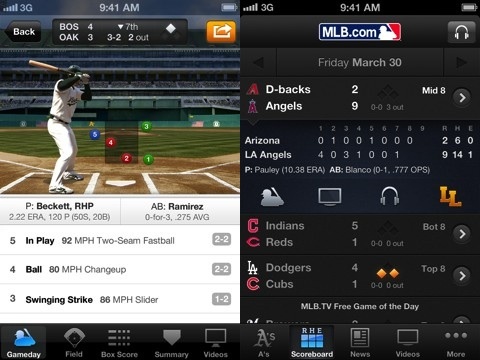 The official Major League Baseball app gives you scores, videos (if you have a MLB.tv subscription or pay for the in-app purchase) and lets you listen in to live radio broadcasts. You can also check-in at the park using this app on your iPhone. 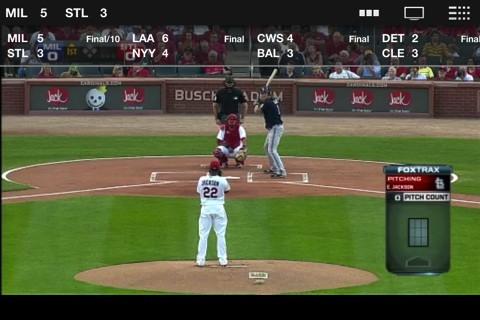 When the audio works, this is a great iPhone app. Unfortunately, this is rarely the case, so you have been forewarned before you spend the hefty price on this app. Once the annoying audio problem is fixed, I would recommend getting this app just for that feature alone. 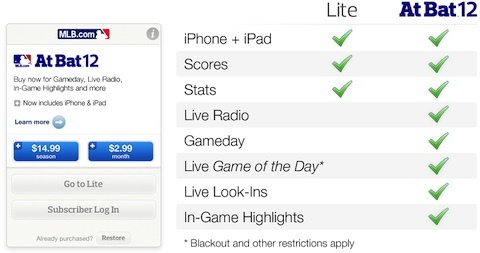 AppSafari review of MLB.com At Bat was written by Joe Seifi on August 17th, 2007 and categorized under App Store, iPad apps, News, Sports, Universal. Page viewed 7840 times, 1 so far today. Need help on using these apps? Please read the Help Page.